Established in 1967, Power Specialties was founded on the concept that customer service is of primary importance. Our staff of Sales Engineers are well trained in the application and selection of instrumentation and control products. Call us with your next process instrumentation, process weighing, or process equipment requirement. This white paper, courtesy of MSA, details the how the latest digital technologies and advances in materials and construction techniques are improving fixed gas detectors for more efficient plant safety. Topics include electrochemical cell sensor advances, laser-based gas open path detectors, onboard diagnostics-ease of maintenance, wireless Bluetooth, data and communications and dual gas sensor transmitters. Download the "Six Fixed Gas Detection Innovations to Consider for Safer Facilities" from this link. 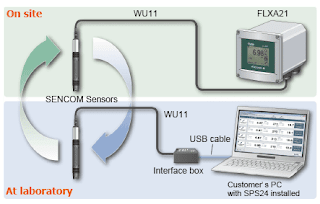 Six Fixed Gas Detection Innovations to Consider for Safer Facilities from Power Specialties, Inc.
Yokogawa SENCOM™ SMART is digital communication designed to optimize your process. SENCOM™ technology allows sensors to transmit and receive data when connected to a FLXA202 or FLXA21 transmitter or to any PC with the SPS24 software installed. 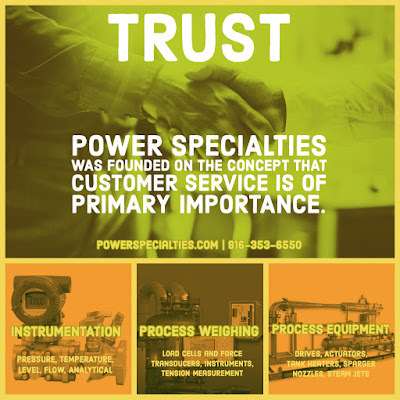 For more information, contact Power Specialties by calling (816) 353-6550 of visit https://powerspecialties.com.